Career civil servants have joined the crusade to cut red tape—to a point. To understand how the Trump administration is delivering on a key campaign promise, consider the tip you left for the waiter the last time you dined out. You probably thought you were rewarding good service (or penalizing bad service, depending on how much you left). Beyond that, you probably didn’t think much about how that tip was actually handled and distributed. But the Trump team at the Labor Department has been thinking about it. In late 2017, the administration proposed partially rescinding an Obama administration rule that would have ensured your tip actually went to the wait staff. The move to give restaurant owners freedom to redistribute wait-staff tips to, say, cooks or busboys was launched with the same aura of certitude displayed by the Trump White House and its Office of Regulatory and Information Affairs—with promises of savings for business, greater fairness, and a transparent, evidence-driven process. But something went awry in the execution. on Feb. 1 by Bloomberg BNA, the political appointees “ordered staff to revise the data methodology to lessen the expected impact,” according to inside sources. The political staff maintained that uncertainties in economic behavior made the analysis problematic. The White House then approved the Dec. 5 publication of a proposal that omitted the quantitative data showing where the tip money would go. In stepped Heidi Shierholz, a former Labor Wage and Hour staffer who is now senior economist and director of policy at the left-leaning Economic Policy Institute. Her attempt to reconstruct the staff cost-benefit analysis concluded that tipped workers would lose $5.8 billion a year, that the take-home pay of back-of-the-house or other non-tipped workers would hardly change, and that employers in the aggregate would gain $5.8 billion a year. The “justification for omitting a quantitative analysis is flawed and, given the fact that the department did indeed do an analysis, highly misleading,” she wrote in comments to Labor. “Obviously, the department was fully capable of quantifying key economic impacts of the rule in the presence of the type of uncertainty described.” She suggested the department had violated the Administrative Procedure Act. On March 27, 2017, President Trump signed four bills rolling back regulations he said were hurting the economy. What it also showed, she told Government Executive, is that Trump officials at Labor were overruling the expertise of Wage and Hour career staff who, while not economists themselves for the most part, would contract out such a cost-benefit analysis and are themselves highly expert in “interfacing back and forth” in managing such a contract. 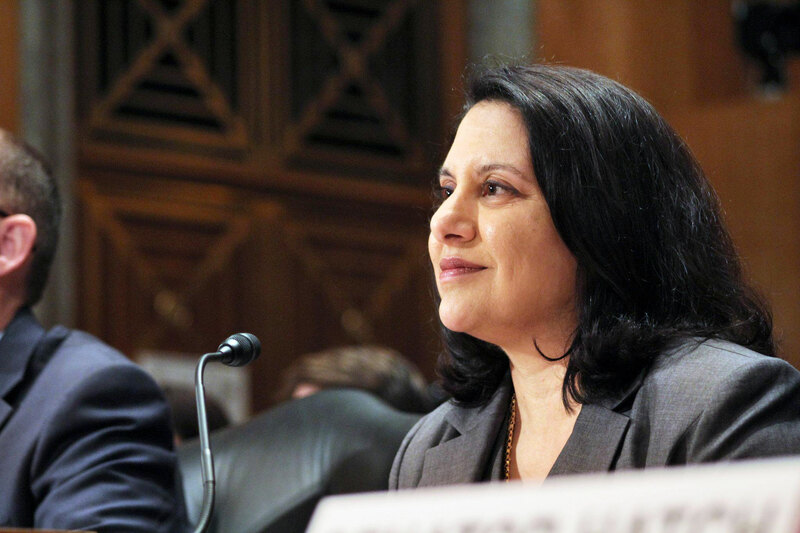 Neomi Rao, who leads the deregulatory push as administrator of Trump’s Office of Information and Regulatory Affairs, declined to comment specifically on the analysis behind the tipping rule, suggesting the final version would provide the needed data. Regulations are among the the stocks-in-trade of government—they are the tools through which the Environmental Protection Agency implements anti-pollution laws, the Interior Department enforces land-use provisions and the Consumer Financial Protection Bureau restricts payday lenders. The chief debates over regulation center on the philosophical and ideological differences over government’s responsibilities versus free market rights. But to many regulatory professionals in and out of government, the Trump agenda raises questions of process. 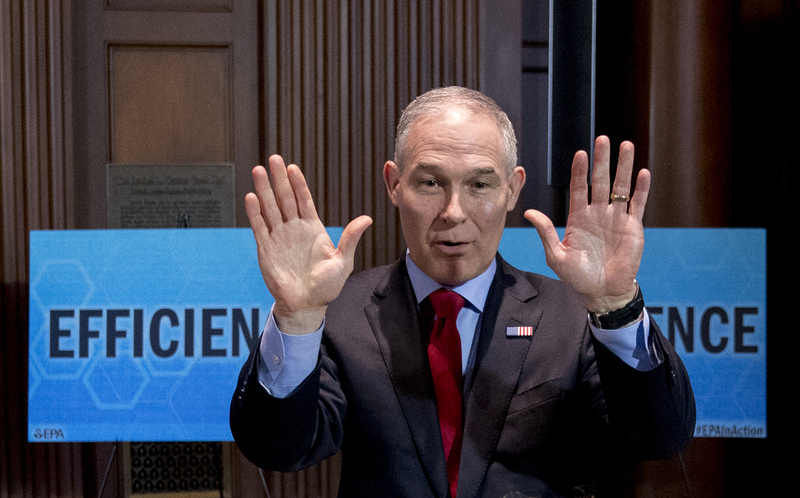 At EPA, as well as Interior, “decisions for the most part are made without consulting or seeking advice from long-time experts,” said Jeff Ruch, executive director of Public Employees for Environmental Responsibility. “At EPA, the decision gets made to repeal the clean water rule to go in a different direction. So they assemble the career staff, which is then directed by a political appointee without a paper trail,” he said. “It took Pruitt’s people five days to rewrite a cost-benefit analysis that took more than two years to write and reach an opposite conclusion,” he added, referring to the Obama administration’s controversial Waters of the United States rule on protecting wetlands. “They reach a conclusion that wetlands have no value, none that is knowable” to delay the effective date of the rule. Yet career employees, despite their famous pride in serving under different administrations, are clearly steered by their agency’s political leadership. “I’m not sure expertise really matters much because what is happening now is that the Trump administration, through its appointees, is implementing executive orders,” said Peter Wallison, who holds the Arthur F. Burns Chair in Financial Market Studies at the American Enterprise Institute. “They are sending signals to the business community that there would be much less regulation, which is a tremendous force in business for being first out of the gate when a major change is happening,” he said. Decisions for the most part are made without consulting or seeking advice from long-time experts. Republicans for decades have embraced deregulation as a way to boost the economy and reduce government’s role in the affairs of business. But the Trump administration has broken new ground. 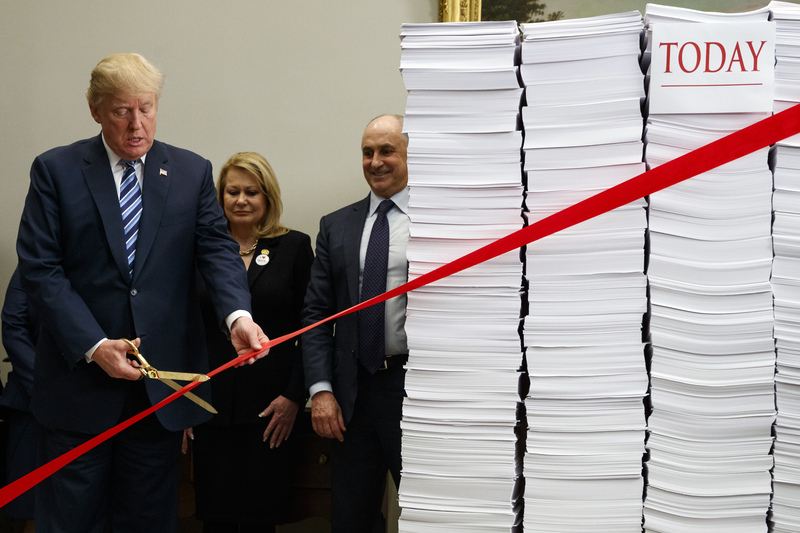 In January 2017, the president signed executive order 13771, which required that for every new regulation added, two regulations had to be cut, marking the first time such a numerical goal has been attempted. A subsequent order required designation of “regulatory reform officers” at each agency, plus regulatory task forces whose outside memberships were not publicly disclosed. OMB’s new regulatory budget, which requires each agency to cap the cost of its rules, is unprecedented. OIRA round-ups now characterize actions as to whether they’re regulatory or deregulatory. Finally, Congress for the first time has used the 1996 Congressional Review Act to move Trump’s agenda to cancel previous administration rules within 60 legislative days. Sally Katzen, who ran OIRA under the Clinton administration, said the Trump transition arguably created the widest breach between political appointees and the civil servants. Though it differs by agency, “there were a number of anecdotes that the confirmed political appointees and their aides weren’t talking to the career staff. They would ask staff for information, which was dutifully delivered, but then career staff had no clue what the consideration or disposition was,” she said. “Top it off with the fact that many of the nominees for political appointments in the agencies were clear about their disagreements not just with what the agency had done under Obama, but with its basic mission,” she added. One example is Education Secretary Betsy DeVos, “whose view of her mandate is very different” even from the Bush and Reagan years. Reeve Bull, the research director of the conference (an independent federal agency that seeks to improve the rulemaking process through consensus-driven applied research) told an audience at The George Washington University last October that the Trump deregulation push is also “a resource issue.” The agencies “have been tasked with regulatory reform but haven’t been given the manpower,” he said. What is subjective about cost-benefit analysis, Gayer said, are the assumptions, projected psychological and natural behaviors, which are subject to OMB guidance last updated in 2003. In climate change, for example, a rulemaker would have to apply what is called a “discount rate” and determine whether to measure effects of carbon emissions globally—as the Obama administration did—or domestically only, which is the Trump approach. Berger of the Center for American Progress expressed more alarm. “The environmental rules, under the same circumstances, provide billions in net benefits, but then they get reexamined and suddenly there are billions in costs,” he said, acknowledging cost-benefit analysis often produces a range. OIRA chief Rao promises new reviews of what is often derisively called “regulatory dark matter,” or agency-generated guidance, FAQs and information collecting she says can function as a “back door to imposing more regulation.” Such supplementary documents, she said, unfairly exclude the public and violate due process. Republicans in Congress are also seeking to rein in guidance, as well as pass the Regulatory Accountability Act that would formalize regulatory review. Even more ambitious is Rao’s plan to reinvigorate a dormant conservative plan to place under OMB’s management the rules issued by the independent regulatory agencies—the Federal Communications Commission, the Securities and Exchange Commission, the Federal Energy Regulatory Commission, and the Consumer Financial Protection Bureau, for example. That centralization, she said, might even include the Internal Revenue Service, which since the early 1980s has been given authority to release its own tax guidance without OMB’s review. As an example of its independence, FERC in January rejected a proposal by Energy Secretary Rick Perry to ease rules on the coal and the nuclear industries to protect the energy grid, and the staff of the SEC recently issued a report contradicting the White House's position on the negative effects of banking regulations. Charles S. Clark joined Government Executive in the fall of 2009. 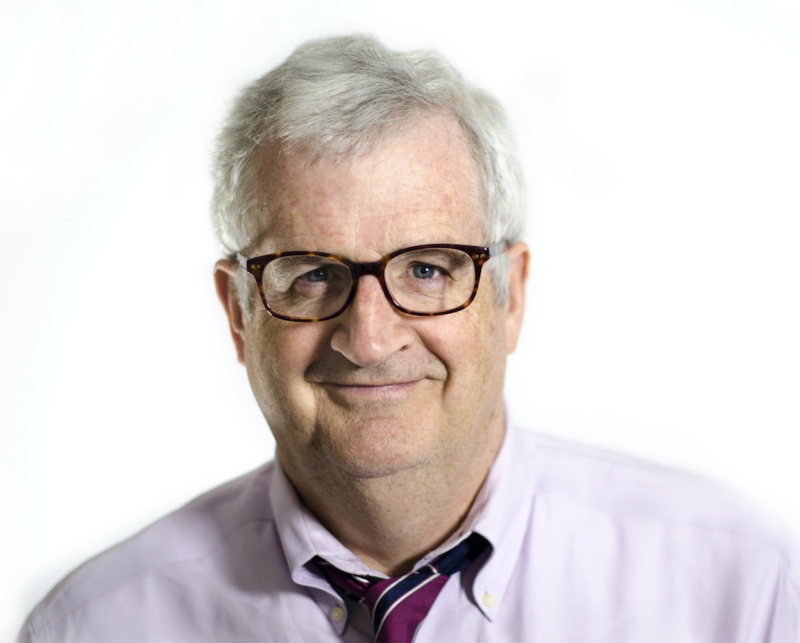 He has been on staff at The Washington Post, Congressional Quarterly, National Journal, Time-Life Books, Tax Analysts, the Association of Governing Boards of Universities and Colleges, and the National Center on Education and the Economy. He has written or edited online news, daily news stories, long features, wire copy, magazines, books and organizational media strategies.